This gear loadout is inspired by Andrew's very own loadout and was built using the high quality items sold at Airsoft GI. Click the images in this spotlight to explore the individual products we have for sale, and read up as to why Andrew runs this "low profile" gear set-up. This might just become your new loadout on the battlefield when you get out and play! 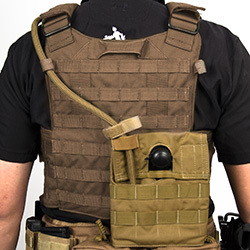 If you are considering running a low profile plate carrier set up like the one I am using, you can check out the following set up; It is extremely similar to my set up and my thought process. First, the plate carrier, I like and highly recommend the new PANTAC plate carrier, the PANTAC 1000D Cordura LT6094 Plate Carrier. 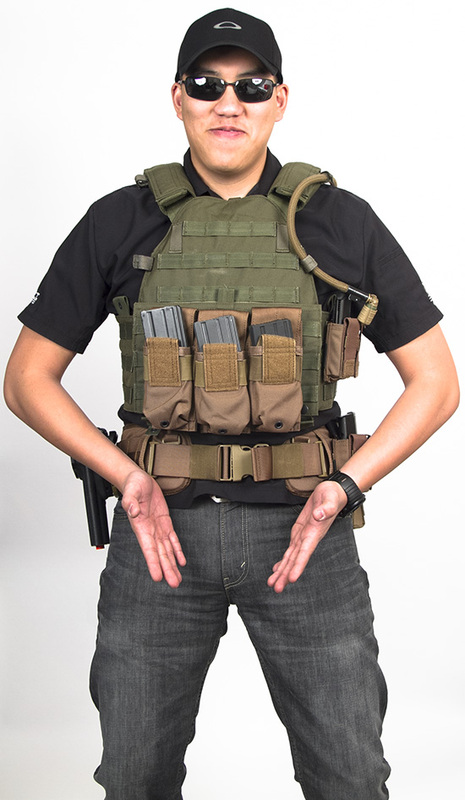 The plate carrier is made with 1000D Cordura Material, which is excellent against wear and tear. The PANTAC LT6094 is a low profile plate carrier, just like my Banshee. It comes with shoulder pads, which helps a lot when you carry a lot of equipment and accessories. There is a drag handle on the back, so when injured, your buddy can drag you to a safe location. 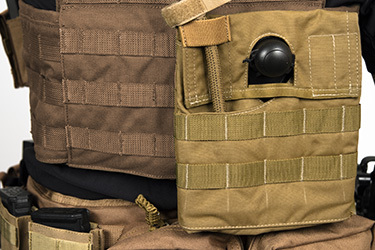 There are a lot of hook and loop straps strategically placed on the plate carrier. They are for your communication wiring and hydration tubing. The MOLLE is well stitched. There is a hook and loop area located on the chest, which is perfect for your patches. Just like my Banshee Plate Carrier, it has a Kangaroo pocket. 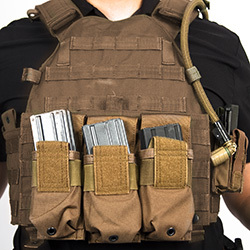 With the right Kangaroo pouch, the user can put magazine kangaroo inserts to allow the vest to carry more magazines. 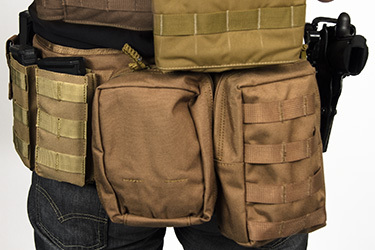 Last but not least, there are two built in radio pouches on the plate carrier, but I would use at least one of them for a magazine pouch, as most of us don’t carry 2 radios. This belt also comes with a suspender system. 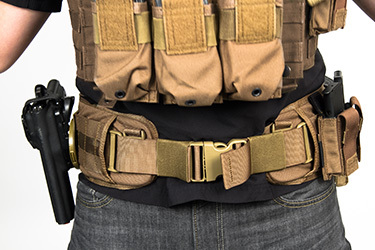 The inner belt is the PANTAC Cobra Buckle Belt. The Cobra Buckle is a new type of buckle designed to take on a heavy load. 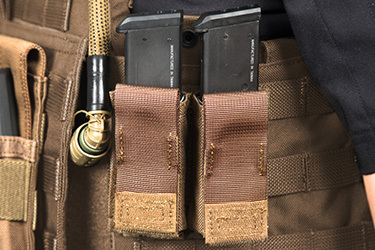 The pistol magazine pouches are the PANTAC Dual .45 Magazine pouch with a hard insert.  You can never go wrong with PANTAC quality. 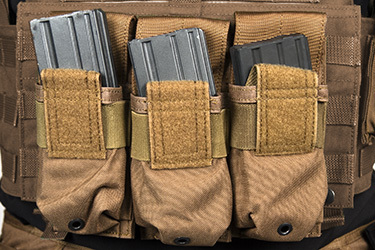 The rifle magazine pouches are the open top M4 pouches from Condor Outdoor. The open top configuration allows you to quickly access your magazines since it is your primary source of ammo. The medical pouch is the PANTAC Medic Pouch. 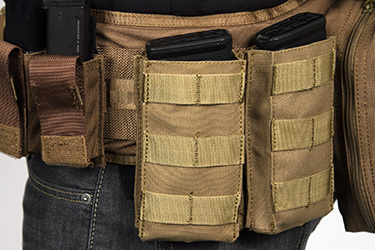 The utility pouch is the Vertical Utility Pouch. These are made from top notch quality tactical nylon, and they will last for a very long time. 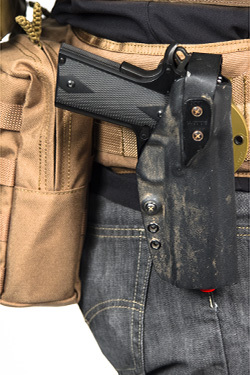 The holster is the G-Code XST holster, which comes with a hood for extra weapon retention.